Choosing the right immigration program is absolutely vital when you are applying for a visa in an overseas country. Canada is obviously no exception with its multiple immigration programs designed for the different category of immigrants. You may keep on waiting for months without receiving any invite if you select an inappropriate program to apply. Why the selection of right immigration program is so important? Selection of the most relevant immigration program is absolutely vital for various reasons. Here are two key reasons that emphasize the need of applying through the appropriate program. Canada has got different immigration pathways or visa categories for the different category of immigrants. The federal and most popular Express Entry System of Canada itself has three different categories, i.e. Skilled immigration programs can be divided into two categories, i.e. Provincial Nominee Programs (i.e. SINP, OINP, NSNP, BCPNP, AINP, etc. )- These programs belong to different provinces of Canada. Quebec Skilled Worker Program (QSWP) – Quebec is the major province of Canada, which has its own immigration program, i.e. QSWP. Hence, it’s very important to understand, as to under which category your profile falls, and why. A layman, who doesn’t know much about immigration often get confused seeing so many categories. 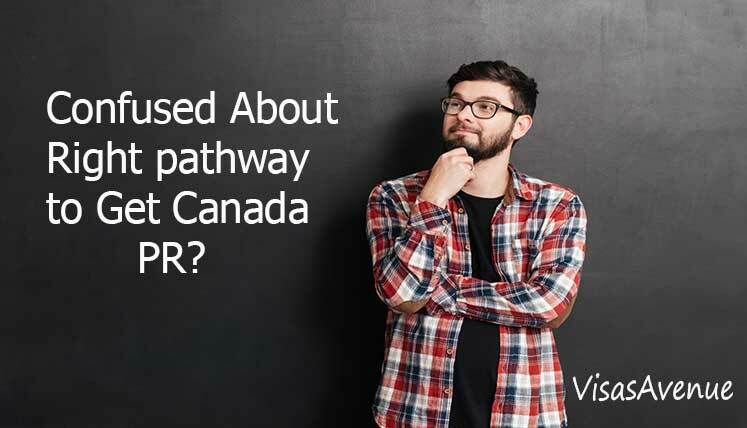 Now, even if you know under which category you fall, the next challenge is to decide, applying through which program, you stand the best chance of selection for Canada PR invitation. For instance, Express Entry System is the fastest immigration system to get Canada PR, however, not all candidate have the high CRS Score to get the ITA (Invitation to Apply) through Express Entry System. Hence, if you applied for visa, you need a mentor, who can guide you regarding the selection of the most appropriate immigration program, i.e. PNP, QSWP, etc. Visas Avenue is a team of certified and vastly experienced, visa professionals and experts, who have spent several years in the industry, helping the visa applicants get the approval for the visa in quick time. VA team is through with all leading Canadian immigration programs, i.e. Quebec Skilled Worker Program (QSWP), etc. You may call certified migration experts at Visas Avenue on Toll-Free Number- 78-18-000-777. Moreover, to get your eligibility checked and subsequently, get a call from the expert, you may fill the free assessment form.